Whoever said marketing is easy was lying; and anybody who now claims that it’s easier than ever thanks to the onset of digital is using the outdated tactic of embellishing the truth. The reality is with the vast development in digital technology, marketing has become far more complex than what most CMO’s could have imagined. With the US’s leading brand spending 1/3 of their budgets on channels they didn’t know existed five years ago(1), there’s little doubt marketers are experiencing rapid change on a scale not seen before. 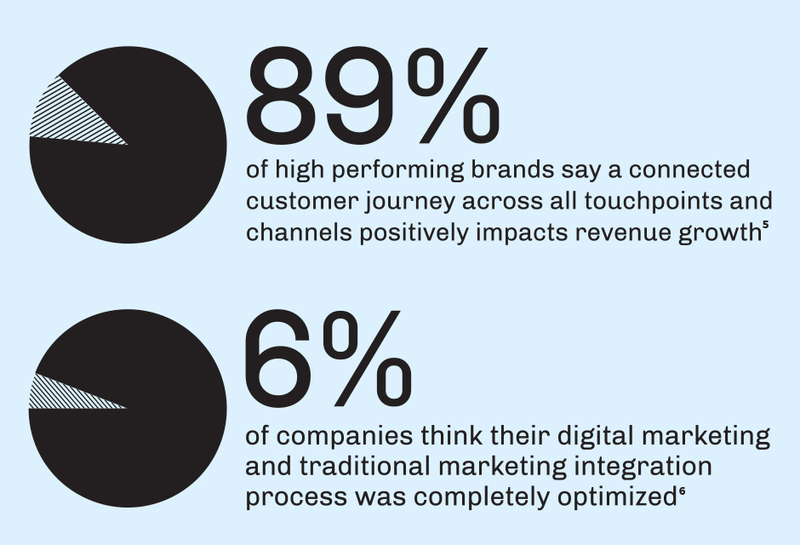 This is not only impacting the way marketers promote their brands digitally, it’s significantly impacting the entire marketing process. 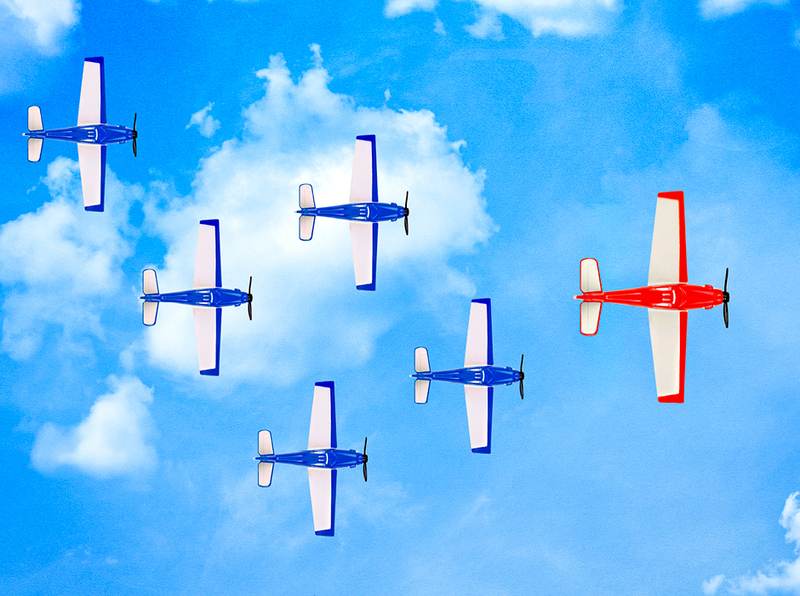 Simply put, we’re not just in an age of digital transformation, we’re in an era of complete transformation, where every aspect of marketing and advertising has evolved, and is only going to continue to do so. As such, marketers need to reconsider their understanding and approach. And by examining the modern marketing landscape, the shift in consumer power, and the internal opportunities that a brand has the capability to shape, it becomes clear that there is a way for marketers to foster brand longevity. It just requires a new way of thinking — and doing. It’s not the rules that have changed, it’s the whole game. Marketing today often feels like completely new territory. The best way to navigate through it and come out on top? Recognize, accept, and work with the transformation, and embrace the fact that it’s ever-changing. Advertising. It ain’t what it used to be. 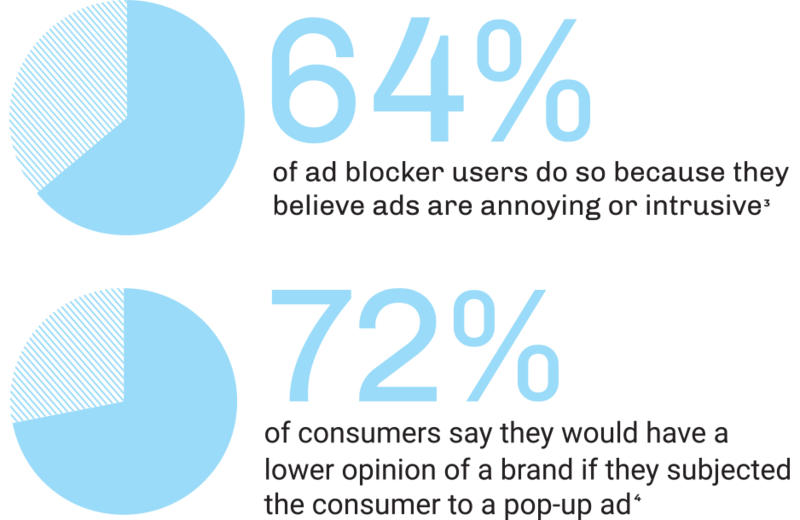 And when confronted with the reality that 419 million people have installed an ad blocker on their smartphones2, it’s easy to believe we are deep in crisis when it comes to reaching consumers. Yet here lies the very essence of the issue – how we define, or what we understand, advertising to be. In the past it was simple to identify an advertisement: a tangible communication piece with elements such as a brand logo, tagline, and headline, usually formed as part of a formal campaign. But this is exactly what today’s consumers are making an effort to avoid. If, however, we move from this elemental-understanding of advertising and view it in terms of purpose – that is, connecting consumers and brands – we see there are a multitude of ways to reach and engage consumers. Tweets, brand videos, even a customer service script could, and should be regarded as modern-day advertising. 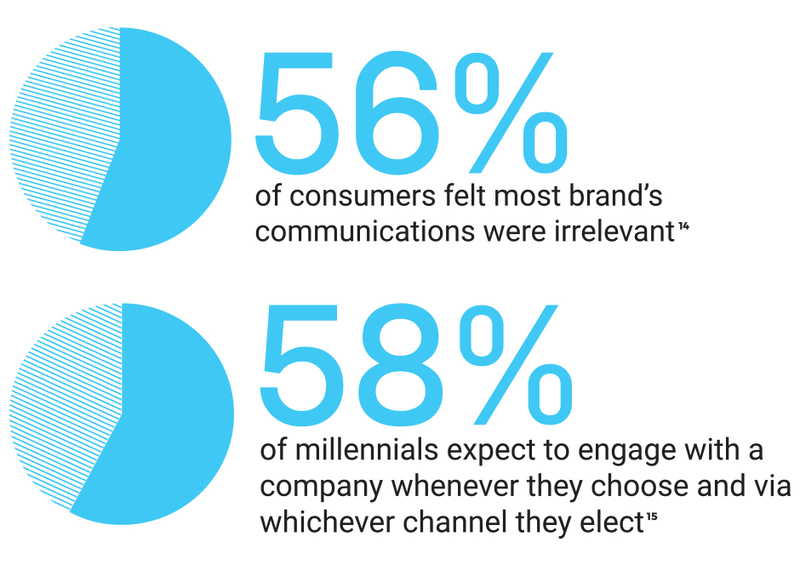 It all comes down to whether it connects a brand with a consumer and works to inform, engage, and/or fosters trust. And if it does, consider it advertising. It’s not unusual to see brands with segregated approaches for traditional and digital marketing, a carry-over from the days when digital was still in its infancy. Yet despite the reality that digital has firmly rooted itself into people’s everyday lives, and that today’s consumers are unlikely to base their media consumption habits with such divide, many brands have stuck with this separated marketing philosophy. As result, a ‘tick-the-box’ approach has become all too common. Brands are basing their marketing decisions on having a presence in both arenas, often with little consistency, rather than seeing the opportunities across traditional and digital as one succinct function. This often leads to missed opportunities for engagement, as well as disjointed communications that can frustrate consumers. But by enveloping digital into the broader marketing approach, and considering each medium as viable as any other – no matter if it’s digital or not – brands become more capable of selecting the right mix. This in turn enables them to present a much more cohesive picture of who they are and what they want to say. Just like connecting the dots on a page to create a clear picture, adopting this broad, all-encompassing view of marketing ensures identification of the most appropriate engagement points, as well as greater proficiency in determining how to make it all work together. This leads to stronger connections, both across channels and with consumers. In this era of transformation, it’s not just the engagement opportunities that have escalated, it’s the competition. And we’re not just talking about messages from competitor brands. Rather, today’s competition involves all viable options that can elicit and occupy a consumer’s attention. With more and more brand, media, and user-generated content available, attention spans have reportedly decreased to just 8 seconds7, meaning brands not only have to compete with every other piece of content to appeal to an individual, they have to offer something so compelling, it sustains their interest. In essence, marketers can no longer ignore the reality that almost everything is competing against their efforts. And as such, anything that is put forward by a brand needs to be thoroughly intriguing, exciting, and compelling to have the best chance of standing out and maintaining interest. One of the biggest shifts we’ve seen is the dominant power that the consumer now wields. Where once brands heavily controlled where, when, and what consumers would read, watch, and see, that determination is now firmly in the hands of the consumer. And if you don’t understand and meet their changing expectations, at best, you risk losing their repeat loyalty, at worse, you risk losing them altogether. Today’s consumers want to engage and interact with brands on their own terms – and that usually means with interesting, engaging two-way conversations where the customer is at the heart of the interaction. They no longer want to be ‘sold to’. Communications, therefore, should no longer center on persuading the customer to buy into whatever a brand is selling. Instead, it should focus on empowering the customer, giving them the right information to make the decision for themselves. And the best way to achieve this is to assume a customer-centric approach. That is, keeping the customer at the forefront of the marketer’s mind for every decision made. Rather than considering what the brand wants to achieve when producing their communications, marketers are better placed to primarily consider what the customer wants to get out of it. With this reframed thinking, marketers can better tailor their outputs to potential and existing customers, putting them in a much greater position to give the customer exactly what they want and increasing the likelihood of a favorable opinion of the brand. Further feeding into the notion of the empowered consumer is the increased demand for transparency and authenticity. With 94% of consumers indicating they would likely be loyal to a brand that offers complete transparency10, it’s impossible to ignore these changing customer expectations of honesty. It all comes down to the fact that people talk, and they now talk far louder and further than ever before. If a brand is not open and honest about what’s it doing, it’s almost impossible for it to be not caught out. Nobody likes being lied to or tricked, especially when they can easily find out the truth, and the brands that fully embrace authenticity and transparency with integrity will garner the most respect from consumers. With great power comes great responsibility; it’s just that in the case of modern day marketing, the power lies with the customer and the responsibility lies with the brand. Customers now expect to be able to engage with a brand when and where it suits them, meaning brands must be able to provide consumers with ways to do so. It’s no longer viable, for example, to only have a desktop website if the customer largely uses mobile for online research and review. This responsibility doesn’t mean, however, that brands can’t ignite any engagement with the consumer. They just need to do so in a relevant way. Instead of trying to appeal to as many consumers as possible with a broad, scatter-gun approach, brands need to implement communications that precisely target the right audiences with the right messages – another factor necessitating a customer-centric approach. Not doing so runs the risk of frustrating the wider consumer audience, diminishing the opportunity to win favor. In order to truly satisfy today’s consumers, marketers need to focus on providing a constant base of strong, brand communications that consumers can seek out on their terms. And when a brand wants to initiate engagement, they need to do so in a way that consumers prefer: transparently, authentically, and in a completely relevant way. What can you do? With the landscape in a state of constant flux, and with consumers now firmly calling the shots, it feels as if there is little left in a marketer’s control to effect positive results for their brand. Quite the opposite. The biggest opportunity for a brand is to look internally and make the right shifts that align with the changing external forces. Strategy has always been an integral component of the marketing function, however as new opportunities for consumer engagement continue to emerge, its importance has solidified. By focusing on strategy, marketers can be assured that any choice they make is well-rounded and considered. For example, if a brand’s strategy is to target customers whose main information sources are TV and print media, it makes little sense to put a high portion of the marketing budget towards a digital-led campaign. Similarly, if the strategy revolves around engaging existing customers, marketers can feel comfortable investing their efforts into channels where their customers can be readily accessed, such as email databases, social media, or physical brand locales. When there are so many factors that can impact a brand’s success, it’s critical to remember that success is amplified when these factors are cohesively brought together, and led, by sound strategy. While strategy is essential, this doesn’t mean the decisions a marketer makes have to be firmly set. Rather, strategy should be seen as the guiding foundation. A much more conducive way to operate in today’s transformative landscape is to be open and ready to change. That is, to be strategically adaptive. With change the new norm, and with consumers dictating a ‘here, now’ mentality, it’s no longer viable to approach marketing with the rigid formality as was common in the past. Instead, it’s necessary to be able to identify new opportunities as they happen, and be flexible enough to take advantage of them. Brands that are adaptable enough to do so will not only find themselves keeping up with changing consumer expectations, they’ll be in a far greater position to help shape them. Despite there being so much change, there is one throwback that marketers can reassuringly maintain: creativity is still one of the most essential factors for success. And this is perhaps because the very nature of creativity – that is, doing something new – is in complete parallel with the concept of transformation. We’ve seen that in order to win over customers, marketers need to broaden their definition of advertising, compete with all forms of content for consumers’ attention, and empower consumers to make their own decisions about a brand with authentic, available, and relevant communications. Rather than seeing these as barriers for success, consider it as an exciting opportunity to appeal to consumers in inventive new ways. With these factors at play, marketers must constantly innovate in order to succeed. And what’s the best way to innovate? Focus on being creative. It may be a whole new game for marketing, but that doesn’t mean everything from the past must be forgotten. It just needs to be seen in the context of today’s transformation era in order to recognize the best way to play. Marketing has always been about satisfying customers and keeping them at the forefront of the business, just as it is with a customer-centric approach. Similarly, marketing has always been relied upon to know the latest trends and how to present the brand in the best possible way. This still stands, however, it’s just very different to how it was even five years ago. In essence, marketing’s role was, is, and always will be to connect consumers with a brand. There has never been a silver bullet to getting this right, but if marketers can recognize the environments they are operating in, understand exactly what the consumer wants from them, and shape their internal functionalities to best match these external forces, then they will be in the best position to sustain the longevity of their brand.